All in all we published 148 tips this year. 80 of them (54%) turned out to be profitable. Thus we managed to increase our subscribers’ bankroll by 16,4%. We should admit it that our performance worsened by the end of the year with only 2 tips out of 15 being profit-driven. Sometimes it happens and the most we can do is to avoid taking getting on tilt (a poker term describing the players’ emotional state when he is likely to take incorrect emotional decisions). The later problem has put under question our probable cooperation with Bet Advisor (tipsters’ office located in London) but we hope it’ll go off all right. Now let’s sort out our tips. We published 84 negative handicap tips (which is 56% of the whole amount). 48 of them (57%) won. Then we published 33 positive handicap tips (22% of the whole amount). 19 of them won (57,5%). We also published 34 outright and total tips (22% of the whole amount). 15 of them passed (44%). So summing it all up, it is totals and outright bets that put us in a hole. To be more precise it’s the bets with very high odds (more than 4) that made a difference. In the nearest future we are likely to stops placing such bets. Now a couple of words about dispersion. Frankly speaking there were a lot of matches when only one single ball kept us from winning (positive handicap for Nadal, Troicki’s victory, handicap for Raonic, handicap for Gasquet, handicap for Nadal, rain at the Wimbledon which prevented Simon from covering the set handicap). And it’s only about the second portion of the season. Of course, sometimes it was our fault when we made very poor tips (thus the tournament in Miami was very bad for us) and almost all our WTA predictions lost (we knew that it’s not our cup of tea and now will keep away from women's tennis at all). But the main difficulty Dotennis team faced this season was metagaming in men’s tour. Athletes started to make playing decisions and changing their approach considering their actual opponent. It means that even if you appear on court in the favorite’s status you’ll not necessarily easily defeat your rival. At that point we came across frequent occasions when a favorite lost one of the sets with 6:0 or 6:1 on the scoreboard to take the rest of the match under control (remember on the of Nishikori’s latest matches against Kyrgios of Dominic Thiem playing Haase). Moreover, some underdogs would show 120% of their abilities trying to outplay favorites (Paire against Kyrgios). Generally Benoit Paire became an epic of the men’s tour in 2015 and deserves a separate article. The French male is turning into another Stan Wawrinka alternating super matches with disastrous ones. 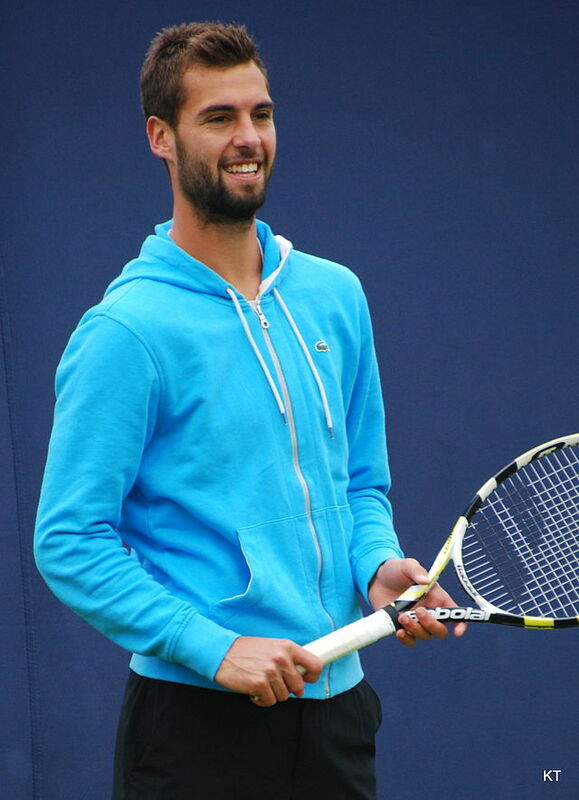 And while we learnt how to read Stan’s play, Benoit Paire is still quite a problem for us. We do comprehend that we have really betrayed our followers and failed in trust. So like Rafa Nadal we deserve no rest. What we will do now is analyzing our bad spots. While the players enjoy the year-end rest we will do our best to start a new service – Tennis Tips Bulletin. It will contain our previews of almost all bookmakers’ ATP lines accompanied by our recommendations. We hope it will enable you to match your thoughts with ours.